I’ve been using the Paratrooper from Montague Corporation to commute to and from work. I’m really impressed on how fun this bike is. With its unique frame, people always ask what kind of bike it was. I always get a kick out of saying it’s called the Paratrooper and showing off how the bike folds. 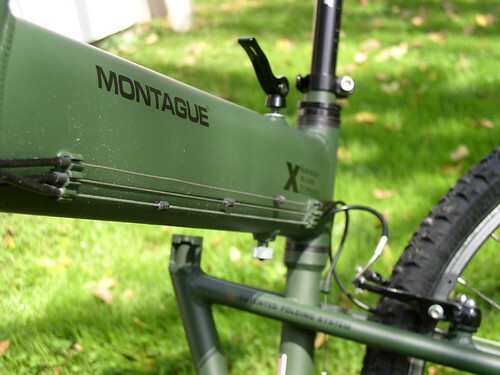 You do not need any tools to fold any of the Montague bikes. Just remove the front tire and activate the quick release on the frame. 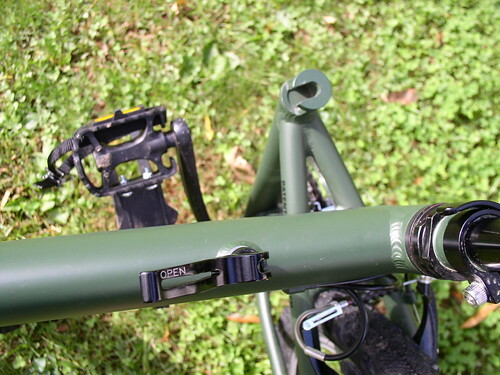 The quick release on the frame comes with two safety mechanisms that you have to activate to fold the Paratrooper; the open / close lever, and the spring loaded knob. Simply switch the lever from close to open turn it a few times then press down. Shifting from one gear to the next is very accurate. I haven’t had any issues or complaints with the shifter nor the derailleur. Paying attention to detail could make or break the looks of a bike. Montague Corporation took care of it all. The over all looks of the bike is awesome! The feature that I liked most was the rims. I just love that silver and black combination. Interested in the Montague Paratrooper? Visit our affiliate, Commuter Bike Store. Those are great shots. 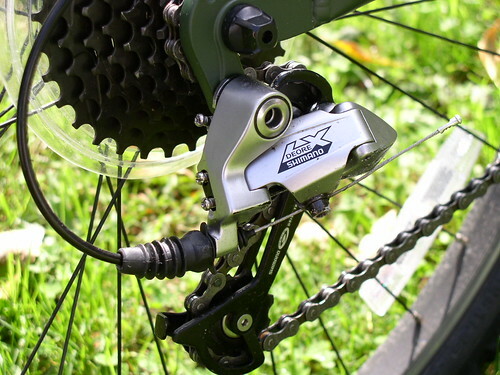 I didn’t realize that it has LX derailleurs. Those are really nice. My bike wants to be a “Paratrooper” when it grows up!!! Maybe this week I get the chance to take it for an Airborne PT day. hey now…better photos of the bike than the ones on the Montague website. 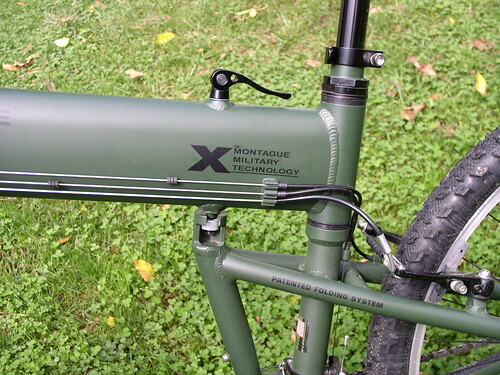 Just ordered the MX today (too poor for the paratrooper)…cant wait! Thanks for the compliment on the pictures. I’m sure you’ll love the MX. Have FUN!